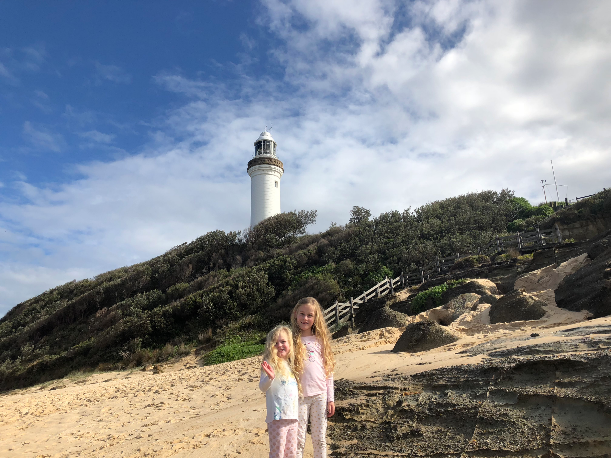 Norah Head Lighthouse is a great spot to take the tribe for a visit. 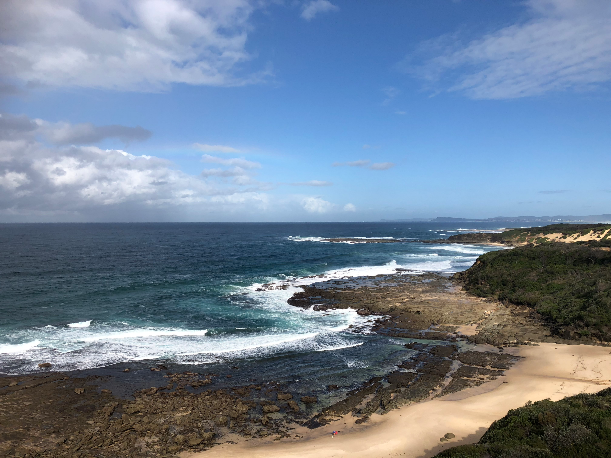 One of the Central Coast’s best whale spotting areas is also a wonderful historic adventure where the kids can learn about the functioning lighthouse. 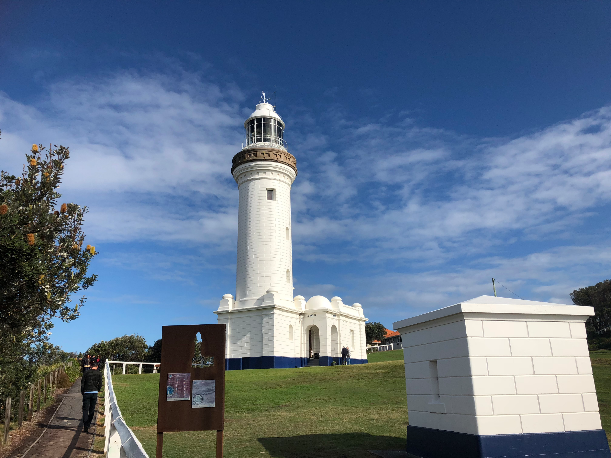 Small group tours take place at Norah Head Lightouse between 10am and 1:30pm operated by volunteers. The tour starts in a room on the bottom level with historical artefacts including life savers, the lighthouse bell and giant light globes. There is also an oil run generator ready to go in the event that the power goes out at the lighthouse. 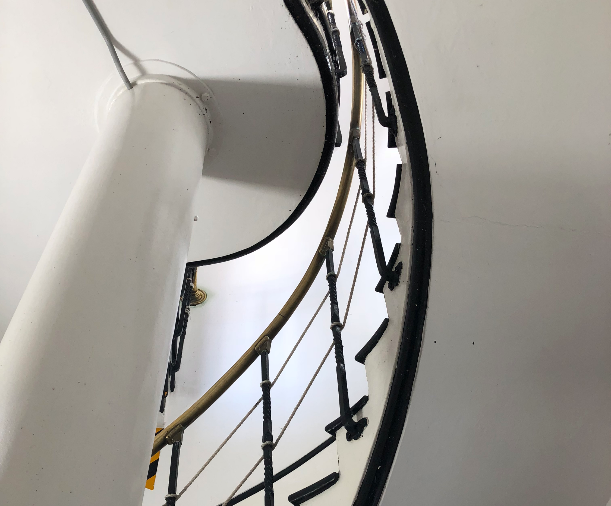 On the first level there is a viewing deck where we could see the round spherical structures that were built into the lighthouse’s design. 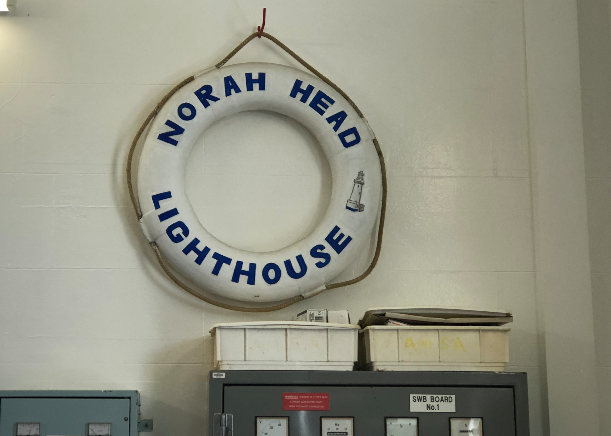 We learned that each lighthouse has its own unique shape incorporated into its design so the boats can tell which lighthouse is up on the headlands. 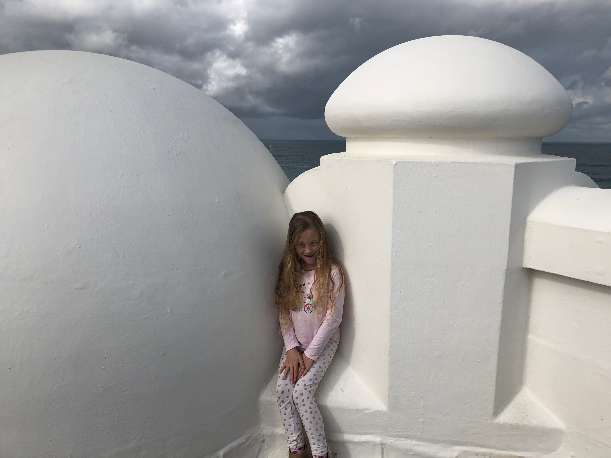 We also had fun counting all of the steps on the way to the top of the lighthouse – there are 96 steps in case you lose count! We also loved the fact that the lighthouse keeper had to be a married man and short in stature to be successful at the job – this was because they couldn’t trust a single man to stay at the lighthouse 24/7 as he was sure to want to duck out to a party on the weekend leaving his important duties behind. And short because there are lots of low clearance areas in the lighthouse. 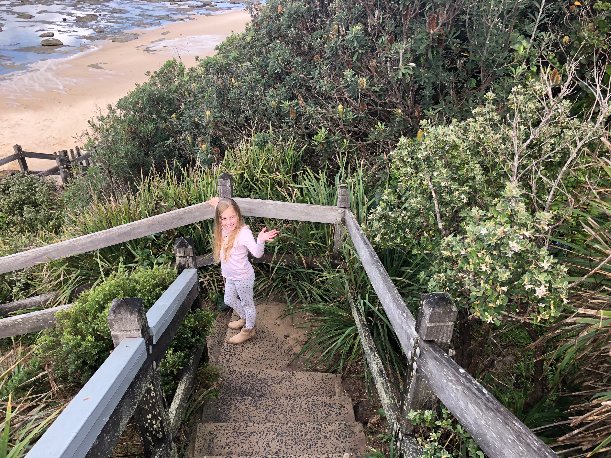 We took a stroll down the stairs onto the beach where the giant rocks Norah Head Lighthouse warns passing ships about lay. The view of the lighthouse from the beach is pretty spectacular, as is the view from the top of the lighthouse looking down. You can also stay at Norah Head Lighthouse in the old keeper’s quarters which is now holiday accommodation. 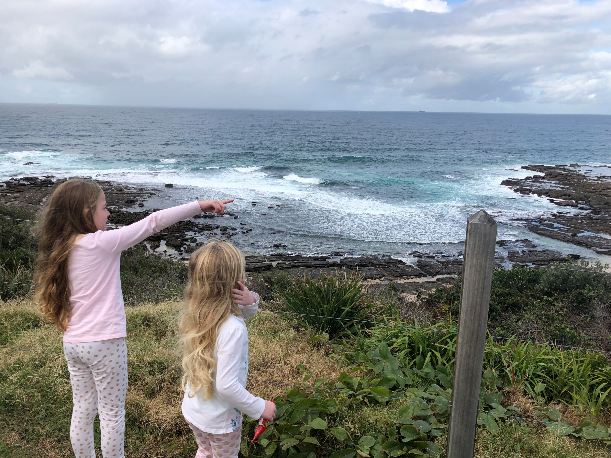 As mentioned before, you might also want to keep an eye out for whale’s passing by at Norah Head, as May-July is whale watching season and July 1 there will be a Whale Dreamer’s Festival held at Norah Head Lighthouse with activities and entertainment for the whole family. What else is on for tribes on the Central Coast?